The Maryknoll Sisters in Zimbabwe are proud and happy to announce that a community library in Mabvuku, an urban township on the outskirts of Harare, has been named after Maryknoll Sister, Sr. Kathleen Barbee M.M. This honor is due to Sister Kathleen’s amazing mission work, she is a teacher and the majority of her students are HIV/AIDS orphans. She not only teaches this group of kids, but motivates them to remain in school after their parents have died. 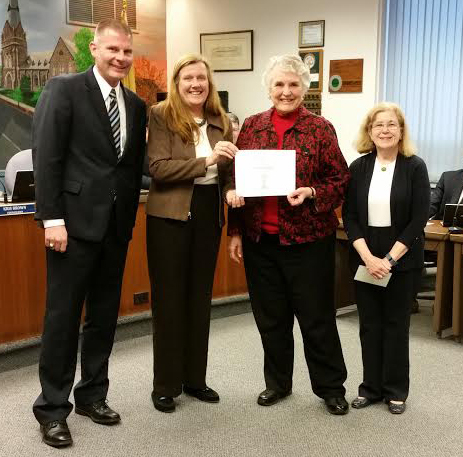 Pictured above: Caldwell Councilman Kris Brown, Caldwell Mayor Ann Dassing, Sister Jeanne Goyette, O.P., and Mrs. Ann Marchioni, head of the Caldwell Environmental Commission. The Sisters of St. Dominic of Caldwell were awarded first prize in the adult category of the Caldwell Environmental Commission’s “Partners for the Planet” contest. Sr. Jeanne Goyette accepted the award at the May 3rd Town Council meeting in the name of the Congregation and gave an explanation of the sisters’ efforts to be eco-friendly at Sacred Heart Convent. “We tried to make it as sustainable as possible, within our financial budget,” Sr. Jeanne said, adding that the convent has items such as solar panels, rainwater collection, a garden, a green roof, a monitoring system for the solar panels, a beehive, and an electric car outlet. The $50 prize money will be used for garden expenses. “Indigenous peoples account for 5 percent of the world’s population, while representing 15 percent of those living in poverty. As many as 33 percent of all people living in extreme rural poverty globally are from indigenous communities. Those figures are particularly alarming given the fact that so much of the world’s natural resource base is located on lands within indigenous territories. This is where both governments and corporations wreak havoc on the lives of people, destroying their communities and their cultures, as they destroy water sources, forests and ecosystems at the same time.” Read article by Margaret Mayce, O.P. Sister Barbara Beaumont, O.P. 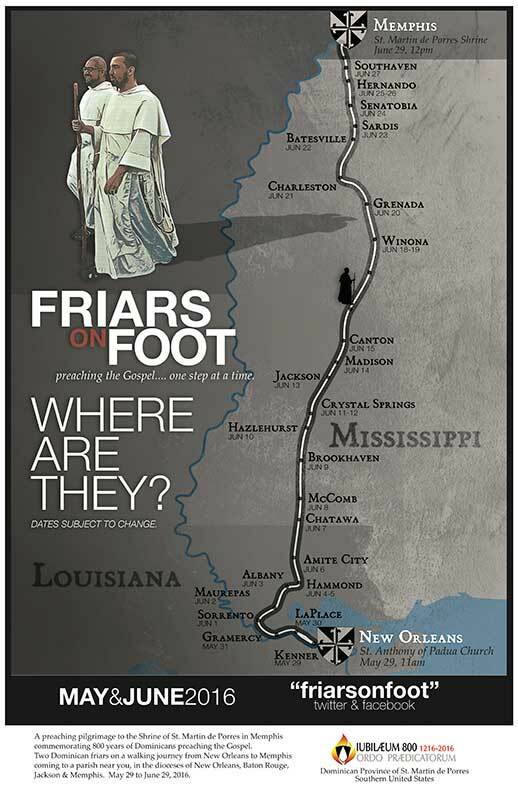 in Fanjeaux, France has recently had her book published, Keeping Faith with the Preachers: Pages from the History of Dominican Sisters. 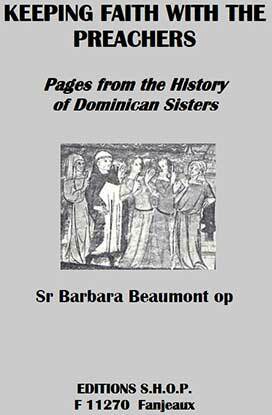 The book is “a collection of talks and conferences about the history of Dominican women given in various locations in recent years (USA, France, Belgium…).” The price is 10 euro ($11.33) and can be purchased online via PayPal (request instructions via email). Book can be ordered online at shop.fanjeaux@orange.fr.